Before you set out for this cache please make sure you have a spare set of GPS batteries, make sure you waypoint the car, let someone know where you are going and when you will be back. If possible take a mobile phone that will work here. The weather here can be very changeable and you need to be prepared if it changes. It is not a nice place to be in foul weather. Despite the above warning it is a glorious location on a good day with excellent panoramic views and well worth the walk. 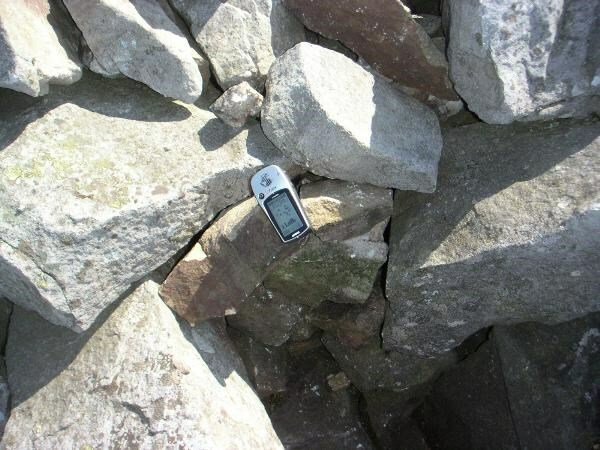 This cache is the first ever placed in Wales. The site is not that difficult to get to, either by walking up from Llanfoist in the Usk Valley (which takes about an hour, and is a nice walk) or by walking across the top from the car-park at N 51°47.432 W 003°04.287 which is a lot flatter. Either way, the views are great. 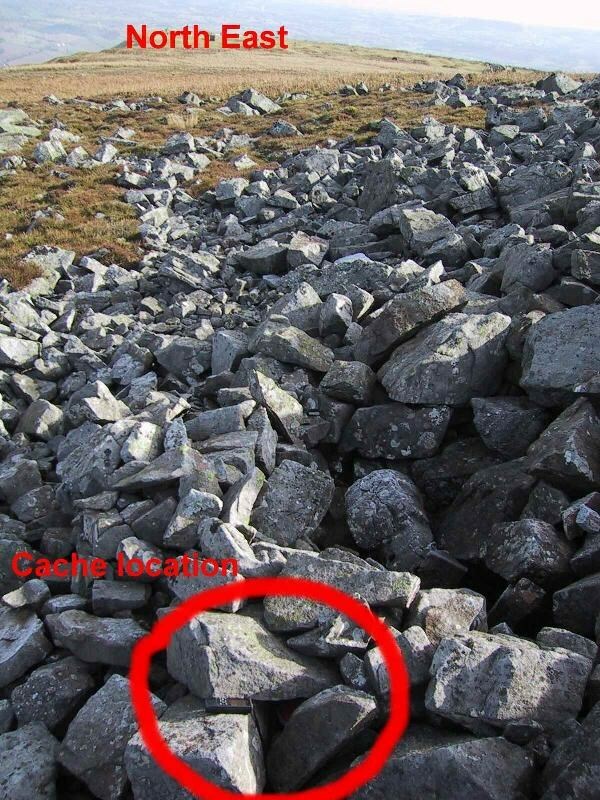 The cache is hidden among the jumble of rocks just NE of the cairn which is at N 51°48.248 W 003°03.305 It won’t be that easy to find – it’s jammed into the vee between two rocks with another rock laid across the top, you will need to move a couple of small stones to expose it. 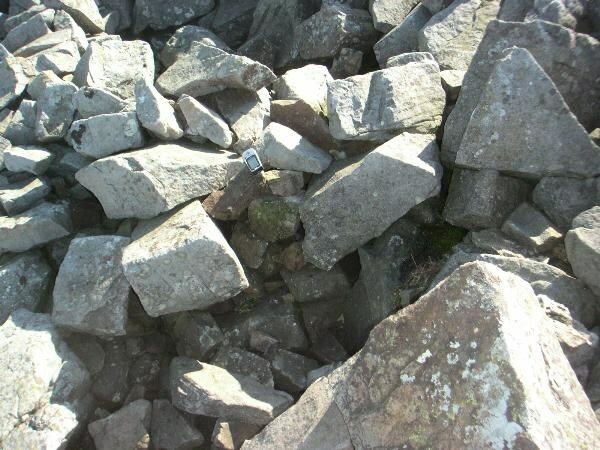 A hint is that if you have come down to the site from the cairn, aim towards a large boulder visible on the edge of the far slope towards Abergavenny. Once you are in amongst the jumbled rocks (watch your ankles…) the site is just to the left of a little hollow (assuming that you’re looking towards Abergavenny) in the rocks where it looks almost as if someone has tried to hollow out a bothy of some kind. The cache container is a brown ammo box with an official green Geocaching.com logo on the side. Please sign the log book and do log your visit here. Make sure you take the cheat photos as you will almost certainly need them! Spoiler - Please take a copy with you!